Vinyl sales up 40% in 2011 | What Hi-Fi? Vinyl sales are at their highest level for six years, with sales set to be up 40% on last year. A strong first six months – in which sales were up 55% year-on-year – has helped to see sales of vinyl pass 240,000 units. At this stage last year 170,000 vinyl albums had been sold. The total sales figure has already surpassed last year's total, which peaked at 234,000 for the whole year. The Official Charts Company predicts that 2011's total vinyl sales will be more than 300,000 for the first time since 2005. Sales in the first six months of 2011 were boosted by big releases from Radiohead, Adele and Beady Eye. 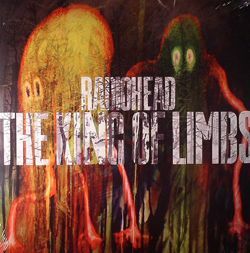 Radiohead's 'The King of Limbs' tops the chart with 20,771 copies sold.